This procedure is very easy to do within 30 minutes. 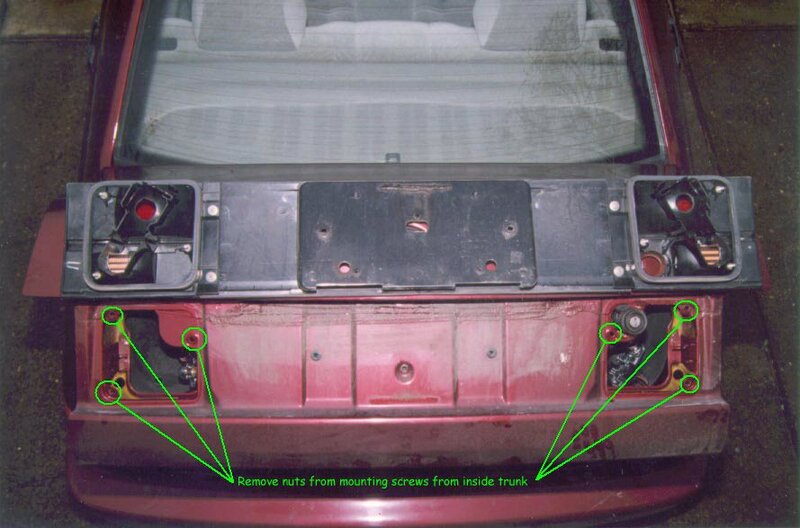 These instructions are more of a guide as the replacement will become readily apparent once you remove the six retaining nuts from inside the trunk and the five mounting screws on the outside frame. This is what the trunk tail light assembly looks like. 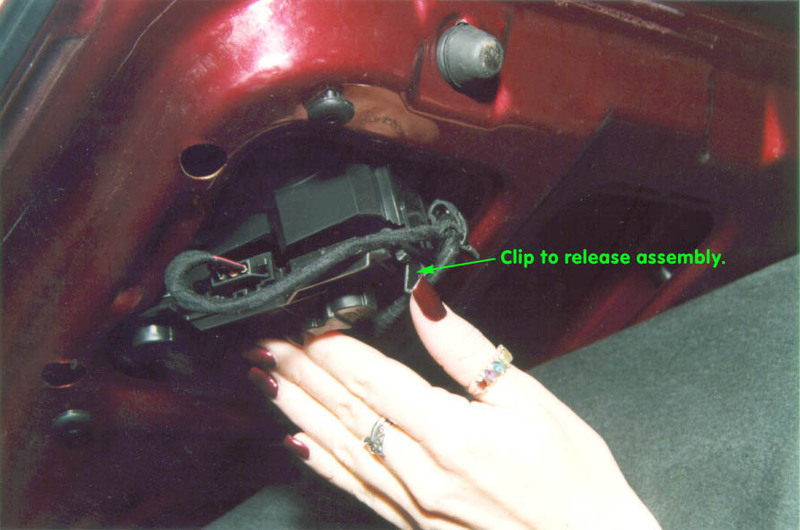 Remove the circuit board/bulb holder assemblies. This shows the NA frame removed and you should use it as a frame of reference (pun very much intended). From inside the trunk lid remove the three retaining nuts that hold each light assembly to the trunk lid (three per side). 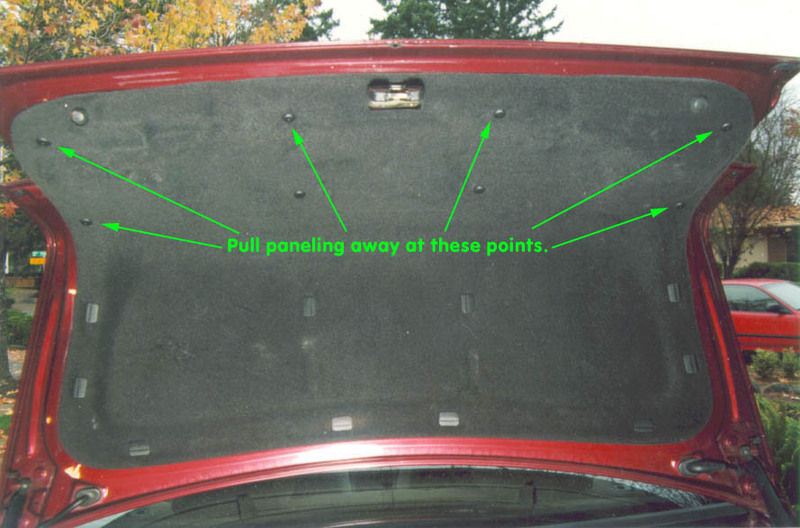 Remove the license plate itself and remove the two screws from the broad, flat face behind the license plate and the three screws above, where the license plate lights are. Now it's just a matter of carefully pulling the frame assembly away from the trunk. Once out, remove the light assembly retaining nuts and re-mount the light assemblies to the Euro frame. 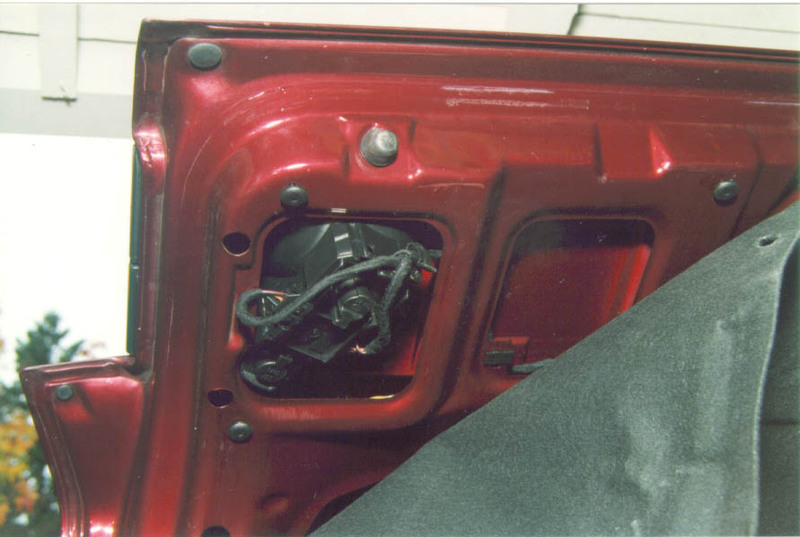 Remember, the Euro frame does NOT have mounting holes for a NA license so you will need to center the NA license on the Euro frame and mark where the upper license mounting holes are, then drill a small hole for each mounting location. Don't drill the holes too big as you need the screws to squeeze into the Euro frame so they will stay mounted. I found it necessary to bend the NA license just a little, right below the mounting holes, so the license would fit in the new frame without rubbing the bottom edge of the license against the frame. Don't mount the license right now, just test fit it to make sure it fits. 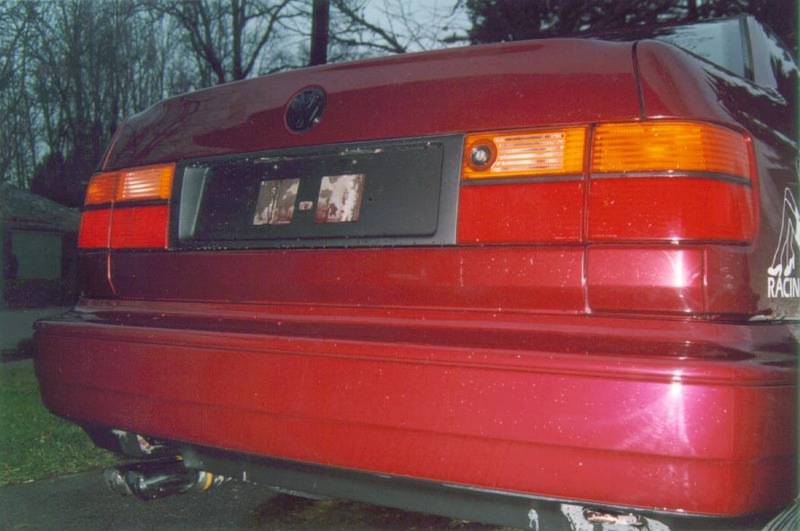 Clean the area where the tacky, black wax on the Euro frame will meet the trunk. Remove the paper from the tacky, black wax and re-mount the Euro frame on to the trunk and reconnect the circuit board/bulb holder assemblies. Here's what it will look like when you're done! Now you can mount the license to the frame.